Kineta has established strategic partnerships to accelerate the development of our pipeline of novel immunotherapies. Beyond partnerships with leading biopharmaceutical companies, we have a strong interest in establishing collaborative research agreements with private, academic and government partners. Kineta is actively seeking in-licensing opportunities in immuno-oncology and oncology that would complement our existing portfolio. To further explore partnering opportunities, please email us or call 206-378-0400. Kineta established a research collaboration and licensing agreement with Pfizer in December 2018 to develop small molecule RIG-I agonist immunotherapies for the treatment of cancer. To learn more about our collaboration with Pfizer please read the press release here. Kineta established a strategic partnership in April 2018 with Genentech, a member of the Roche Group, to develop a first in class α9/α10 nicotinic acetylcholine receptor (nAChr) antagonists for the treatment of chronic pain. To learn more about our collaboration with Genentech please read the press release here. Kineta received a Wellcome Trust Translation Fund Award of up to $7.2M to advance the development of a novel antiviral therapy to treat Lassa haemorrhagic fever. The goal of the collaboration is to complete Phase 1a and Phase 1b safety studies in human subjects and position LHF-535 for Phase 2 evaluation in Lassa fever patients. 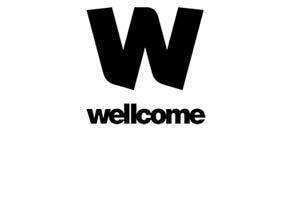 To learn more about our collaboration with The Wellcome Trust, please read the press release here.